South Walton is hot, hot, hot! From Gulf-front condos to beach homes and coastal communities, County Highway 30A in South Walton County boasts real estate opportunities like none other. 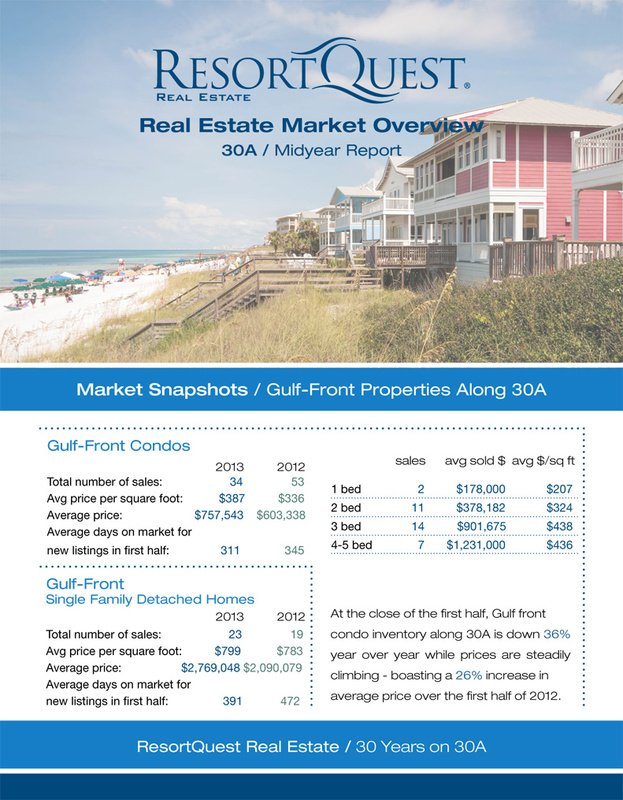 With sales increasing and new developments in the area, now is a great time to buy or sell real estate in one of 30A’s idyllic communities. For further convenience, feel free to print or share our 30A – 2013 Midyear Review. Interested in learning more about Northwest Florida’s Gulf Coast? 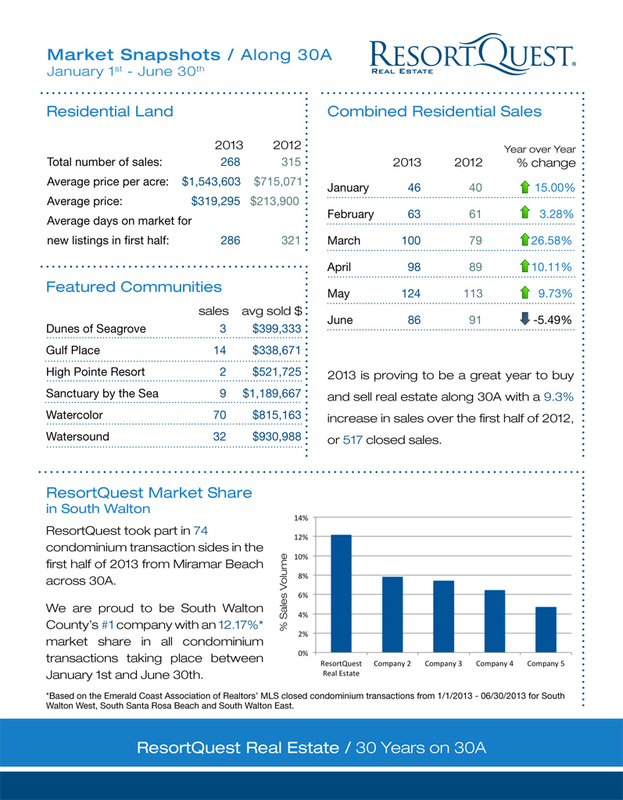 We have Midyear Reviews for other hot areas, including Destin & Miramar Beach and Fort Walton Beach & Navarre!